Super opportunity to own in this prime Renfrew location at an affordable price. 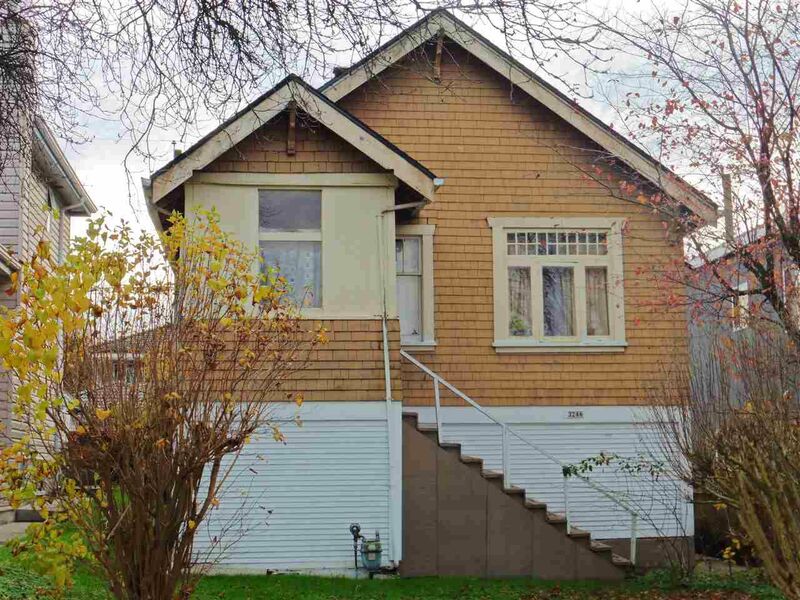 A solid older style character house that could use some updating and your renovation ideas. The six foot high basement is mostly unfinished and ideal for storage. Situated on a beautiful tree-lined and quiet no through street. Excellent neighbourhood with many newer homes. Large level lot with back lane access. Partial mountain view. Convenient location within walking distance to schools, shopping, transit and the very enjoyable Rupert Park with a pitch & putt golf course, sports fields and a kids playground. Easy access to downtown, Burnaby and the North Shore. Move in, rent out or build your dream home. Excellent value!